Get Cheapest and Best discounted products at one place..!! 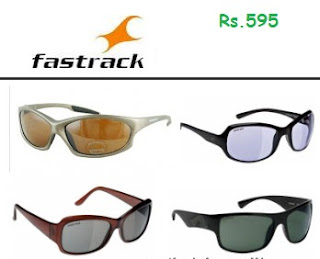 Buy new different design Fastract sunglasses from pepperfry,You can get rs.400 OFF at Rs.900 by using coupon code.Bu using this code you can also purchase clothes and different accessories till 10th October. 2)Add sunglasses of worth rs.995 to cart. 5)Fill shippong details and pay payment.